After contributing my first guest post in Part 1 of this series, I was eager to create a second guest post for Linnea Tanner. She writes historical fantasy and explores Celtic mysticism, tradition, and mythology on her blog. I asked her if any other animals had special relevance to her series of novels, and Linnea replied that wolves and horses were two important symbols in her books. As with my first guest post, I flipped through my tarot book for cards with wolves and horses. I found one card, The Shaman, with a wolf on it, and two cards, The Chariot and the Seven of Swords, with horses. Accompanying these cards was a wealth of knowledge about Celtic history, the symbolism of these animals, and how the animals were celebrated in Celtic tradition. As I compiled my guest post proposal, I noticed how well the symbolism of these three cards tied together. 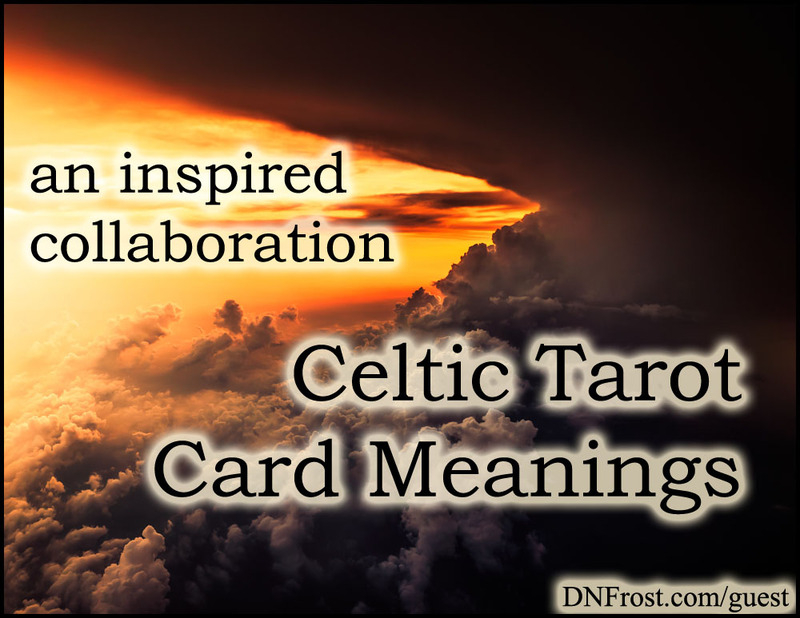 Just like my last post, Linnea's knowledge of the ancient Celts helped me select cards with corresponding themes for her blog. I submitted my enthused proposal, and Linnea had a surprise for me! Not only did she accept the proposed tarot post, but she inquired about a map commission for her upcoming novel, Apollo's Raven. Everything happened in a blur after that. The map dominated my focus, and the next thing I knew, a week had flown by. I knuckled down to edit and format the post. Since Linnea's own posts are quite long and informative, I left in as much of my original draft as I could, presenting a vibrant and in-depth picture of the ancient Celts. When the post was finished, I sent it to Linnea and got back to work on her map. She loved the post and soon it was live on her blog. The whole experience felt breezy and light, probably because we both were knee-deep in finishing her beautiful map of ancient Britain. Celtic Tarot Card Meanings here. And be sure to subscribe to Linnea's awesome blog, if you haven't already!